I know the experts worry about the Professionals overpowering golf courses, but most of us are in no danger of doing that. While most golfers are landing tee shots out in the 220-yard mark, the top Professionals are going beyond 300 yards. 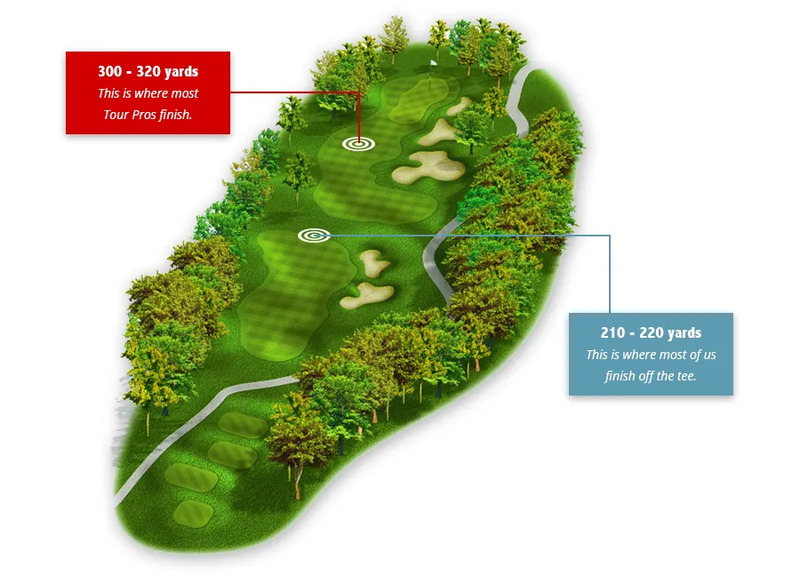 If you played your second shot on Par 4’s from where the Pros hit their tee shots, then you’d be taking Wedges, #9 Irons and maybe the odd #8 Iron. The game is a lot, lot easier from there. The manufacturers are trying to help. The Pros swing hard knowing they’re going to hit the sweet spot. That’s not easy for a golfer playing once a week or less. So in the last two years we’ve seen clubhead design improvements that increase ball speeds away from the sweet spot. You can swing harder knowing the whole clubhead is geared for distance. Not convinced? Then surprise yourself. Contact us.